Central Otago crossroads amongst lush farmland and grazing stock. Dunstan Mountains and Lauder Creek behind. 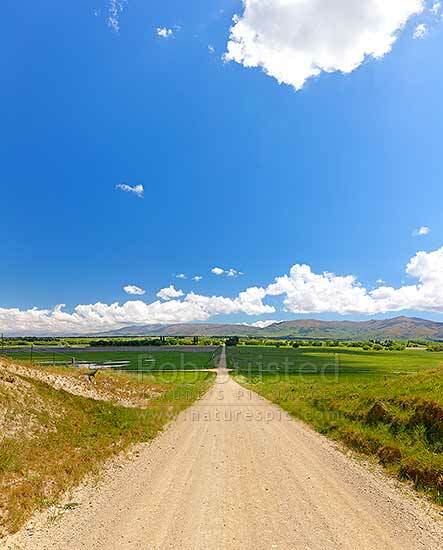 Square format, Becks, Central Otago District, Otago Region, New Zealand (NZ), stock photo.